Like it, love it, or sometimes hate it, tourism is an economic bedrock of much of Western North Carolina. Of course, the tide of visitors brings a boon to some areas more than others, as a senior class project at Western Carolina University finds each fall. The class is taught by Steve Morse, an economist who directs the university’s hospitality and tourism program. In its latest analysis, presented last November, the class crunched the numbers for tourist-related spending throughout WNC in 2014. Using estimates compiled by the Washington, D.C.-based U.S. Travel Association, Morse and his class found that tourism brought in a whopping $3.25 billion to the region and was up almost five percent over the previous year’s spending. 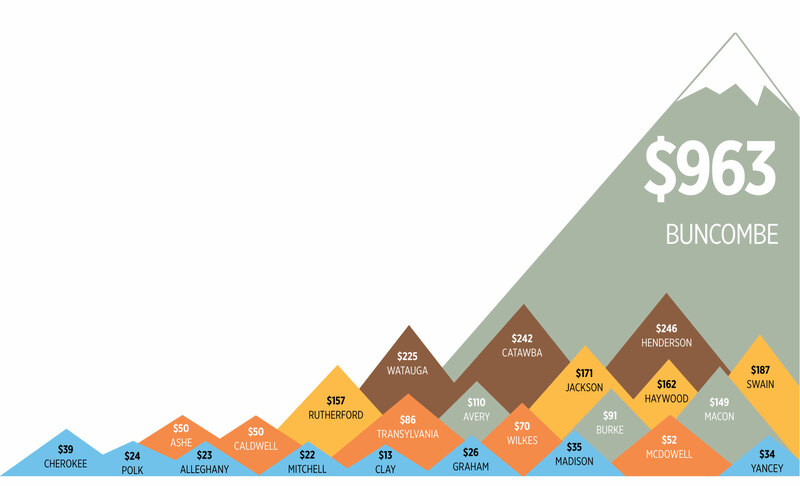 Buncombe County led the pack of mountain counties, with $963 million in tourism earnings.